Summary: Melissa, Wilf, and Bondi, three unlikely Chicago-area middle school students, are chosen to compete for a $10,000 scholarship. A mysterious “Mr. Smith” gives each of them a driver, a cellphone, a debit card, and three clues to solve about landmarks in their city. Wilf, the slacker, chooses to focus more on using the debit card than solving the clues, while Melissa and Bondi compete for money that they both could use. Bondi’s the first to present his solutions, but when he realizes he’s made a mistake that Mr. Smith doesn’t pick up on, he begins to suspect foul play. Breaking the rules, he teams up with the other two kids, and the three of them uncover a plot with stakes much higher than the initial $10,000. Combining their brains and talents, the three kids manage to thwart some bad guys, discover a good guy who’s been presumed dead, and find a way to treasure and a happy ending for all of them. 368 pages; grades 3-7. 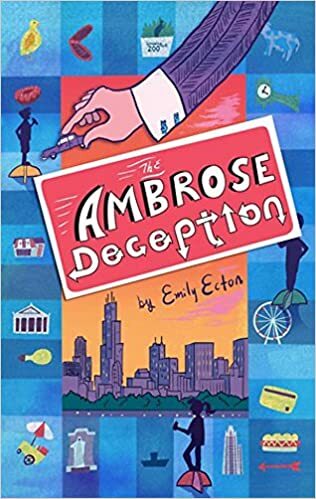 Pros: A fun, fast-paced mystery with funny characters and plenty of Chicago history and trivia. The text is generously interspersed with letters, memos, and texts that keep things moving along quickly. Cons: The Internet makes solving some of the clues disappointingly fast and easy.